One of the things that people go to Japan for is its culture. Brimming with rich culture and heritage, the Land of the Sun is a hotspot for people who wish to learn more about its traditions and common ways. While the typical idea of immersing in their culture is by going to temples and shrines, there are also other, more modern ways of getting to it’s the culture of Japan. One of these ways is by visiting yokochos or alleyways. Beginning in the Edo period in Japan, which spanned from the year 1603 to the year 1867, pilgrims from different parts of the country would travel to the town of Ise so they could visit Ise Jingu and pay their respects. Some of these people wished to be able to visit Ise at least once in their lifetime. A folk song was even made about this aspiration. The journey to Ise Jingu was often long and difficult. As a result, it was common to find weary travelers along the route going to Ise who needed some help. At the time, it was extra difficult to travel to Ise due to the scarcity of lodging and food. Authorized permission was also required if one wanted to go beyond his or her home area. 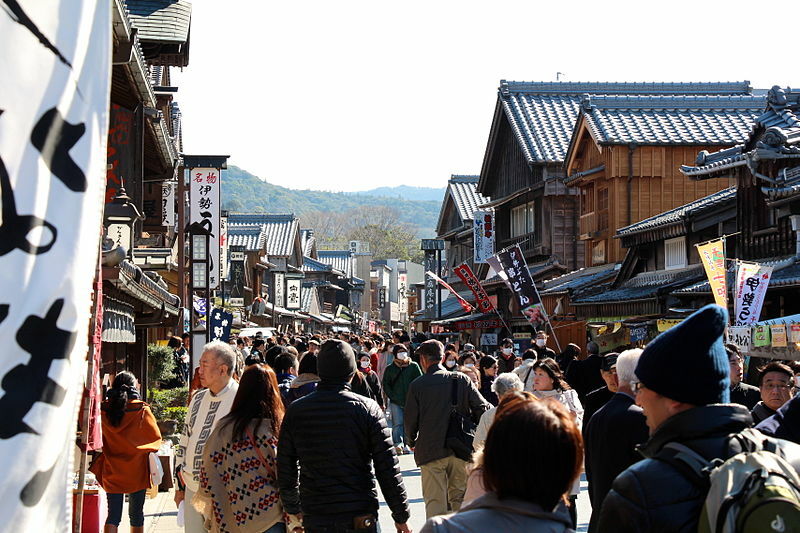 Because the local townspeople of Ise knew about the hardships that these pilgrims faced just to be able to reach Ise, they would often welcome these visitors with open arms. They would also voluntarily help these exhausted pilgrims so the latter could reach their destination. It was believed that the kindness and generosity that they showed to these strangers were ways to show their own gratitude to the deities of Ise Jingu. While many things have changed through the years, one thing has remained the same in this town and that is “shinon kansha,” which stands for “a deep sense of gratitude.” The local people who operate Okage Yokocho work with this sense of gratitude towards the town’s beautiful surroundings as well as its bountiful resources. One can say that Okage Yokocho is also defined by this sense of gratitude. Visiting Okage Yokocho is not just about finding the best local foods that the area can offer but also about appreciating the town and its history and culture. The area consists of a spectacular array of architecture that dates back to the Edo and Meiji period. It adds to the quaintness vibe of the area. Aside from learning more about the history and culture of Japan in Okage Yokocho, one could also try the traditional local customs in the area. Visitors would surely appreciate the warm-heartedness and the kindness of the locals in this area. Furthermore, they could also experience delicious local foods that only Okage Yokocho can offer. Okage Yokocho is open every day from 9:30 AM to 5:30 PM. 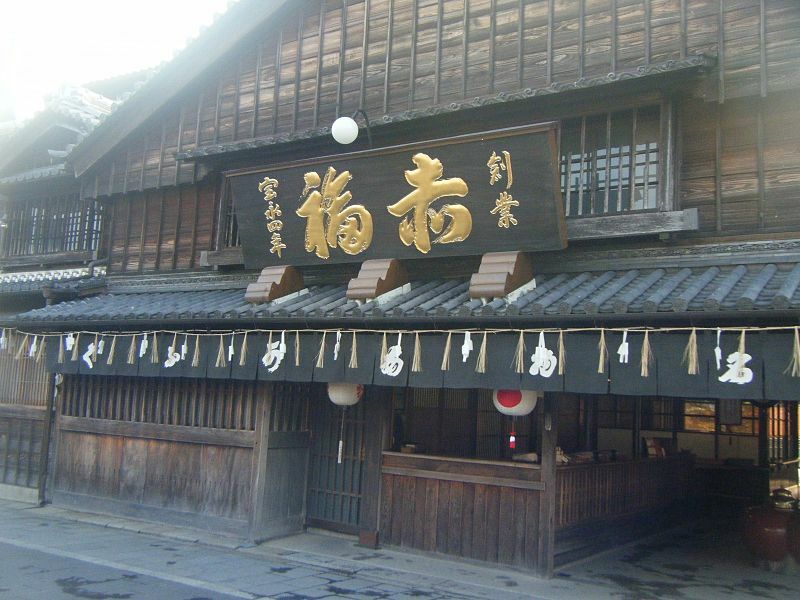 During the months of August and September, Okage Yokocho operates from 9:30 AM to 6 PM. From November through February, the area is only open from 9:30 AM to 5 PM. Admission to the area is free except for the Okage Theater. There are several restaurants that one can check out in Okage Yokocho. For people who want to try the special Ise udon, visit the restaurant called Fukusuke. Udon is soft and thick noodles made of flour. What makes Ise udon different from other udons in the country is its broth. Ise udon uses soy-sauce based broth that tastes slightly sweet. This food specialty is quite known to pilgrims who travel to the city of Ise. It is a simple delicacy that warms the stomach and fills the heart. The original recipe of Fukusuke’s broth is said to be mild and smooth. The broth is made from kombu and dried bonito. Light and tasty, this dish is perfect for people eating udon for the first time. If one is more into soba noodles, head on over to Dangorojaya. It is an open-air café that serves soba noodles made of buckwheat that was sourced from Tokakushi, Nagano Prefecture. Some of their other dishes include rice balls known as onigiri using Shonai rice from Yamagata Prefecture as well as Matsusaka beef. Try getting their flavored shaved ice if it is summer and their hot bean soup if it is winter. Their green tea is also a must-try. However, for people looking for a restaurant that specializes in beef, check out Butasute. Opened in the year 1909, it is among the best beef butcher shops in Ise. Some of its dishes include gyudon, which is simmered beef and onion on top of white rice, and gyunabe, which is basically beef hot pot. These are perfect to eat during the winter season. Guests can also opt to try the restaurant’s sukiyaki, which is slow-cooked beef with vegetables, and yakiniku, which is basically just grilled beef. Because it is also a butcher shop, Butasute also sells choice cuts of Japanese beef. Customers can also purchase the restaurant’s popular beef croquettes for takeout. For people who are more into seafood, the restaurant to look into is Ebimaru. The seafood that they use in their dishes is caught locally. Some of their offerings include their fisherman’s miso soup, which is cooked with clams, shrimp, and white fish. There are also certain seafood dishes that they only serve depending on the season. During the summer and spring season, the restaurant offers dishes with fresh abalone and octopus. On the other hand, the restaurant makes dishes with oysters and local Ise lobsters during the winter and fall season. The best way to eat their abalone and lobster is by having them grilled or prepared in sashimi-style. These dishes are prepared fresh. Another must during the cold season is eating ramen. Yokocho Sobra Shouseiko is a ramen shop located in Okage Yokocho. Chinese-style noodles are used in the dishes of this restaurant. This style was first introduced to the Land of the Sun in the early 1900s. The soup stock used in their ramen is simmered slowly for a long time, sometimes up to a week to get all the flavors out of the ingredients in the broth. Some of the ingredients used in creating this stock soup include Matsusaka beef, chicken, pork, and several kinds of vegetables. Every bowl of ramen served to customers comes with pork on top, which is slow roasted and what makes the dish so popular among locals. Aside from restaurants, Okage Yokocho also houses a plethora of specialty food stores that visitors can check out if they feel like trying local snacks and sweets. One of these shops is known as Zeniya. This store sells a wide range of traditional snacks and sweets that can only be found in Japan. Majority of the products sold at this shop are without artificial coloring and food additives. Hence, these can be eaten and enjoyed by children. For people who love tea, go to Banchajaya. It is a tea shop that offers organic Japanese green tea that is naturally sourced from the area of Ise. The teas from Banchajaya can also be purchased as presents for friends and family back home. The shop also has a small area that serves as a café for people who wish to sit back and relax after walking around the yokocho. Another specialty food store in Okage Yokocho is Ajinoyakata. It sells foods and drinks that are locally made in this area. Guests may also find unique souvenirs within the store. Customers can also buy fresh, dried, or preserved foods in the store that they can take back home with them. Speaking of dried foods, a shop in Okage Yokocho that specializes in dried seafood is Shishu Hirakiya. This store sells great dried and salted seafood. The wide variety of dried products that they offer are also made from fresh and seasonal seafood. Because these have never been frozen, one can totally taste the richness of these products. As for people who are into seaweeds, there is a shop in Okage Yokocho that specializes in such known as Mie Gyoren. The seaweeds that this shop sells are freshly harvested as well as locally grown. Some of the products that they offer include nori, which is laver; aisa, which is sea lettuce; and wakame, which is soft seaweed. The shop uses different kinds of methods to process their seaweeds so as to ensure that these products can be used with ease for daily cooking. Last but certainly not the least is a pickles shop in Okage Yokocho known as Denbei. The most popular food in this shop is Ise Takuan, which is basically Asian radishes that are half-dried. Locally, these are known as daikon. It is prepared with a mixture of salt and rice bran. This product is also a staple food in this area used to feed the pilgrims that visit Ise. This specialty food store was founded by a local farmer more than 160 years ago. The farmer would pickle his vegetables and sell them to both locals and visitors of Ise. Until today, the tradition of Denbei lives on, feeding modern-day pilgrims as they venture into their journey of visiting Ise. Aside from the local restaurants and shops in the area, people visiting Okage Yokocho can also check out places that offer local arts and crafts. First on the list to visit is the Omiyageya. It offers several types of souvenirs, one of which is the most popular character of the yokocho, Okage Dog. This character was made in honor of the several dogs that journeyed to Ise on behalf of their masters. There is a whole story behind these dogs that one can look into. For people who like accessories, there are also accessory stores in Okage Yokocho. Shiroganeya is a shop that specializes in silver accessories. Aside from these, the store also sells a unique collection of watches and gem accessories. Drop by this store if one is looking for a present for his or her special someone back home. As for people who are more into pearl jewelry, the store to check out is Mikimoto Pearl Island Store. It is a branch store of world-famous pearl jeweler Mikomoto. The shop offers a wide range of pearl accessories as well as other gift items. These pearls would surely do well to accentuate the beauty of its wearer. It also represents the splendor and glow of one of the finest gems of Ise Shima. Another arts shop to check out is a candle shop known as Akari no mise. This store offers a wide range of types and styles of candles. These candles can be aroma candles, traditional-style Japanese candles, or decorative candles. They would surely accentuate any home they are put into. For people who want to try their luck, try going to Tsuboya. It is a tobacco and lottery shop. Purchase a lottery ticket and one may just win the prize. The shop also offers several types of pipe tobacco, which is perfect for people who love to smoke. These tobaccos give off a distinct taste that one might enjoy once tried. No matter which shop one chooses to visit in Okage Yokocho, one would definitely have a good time. 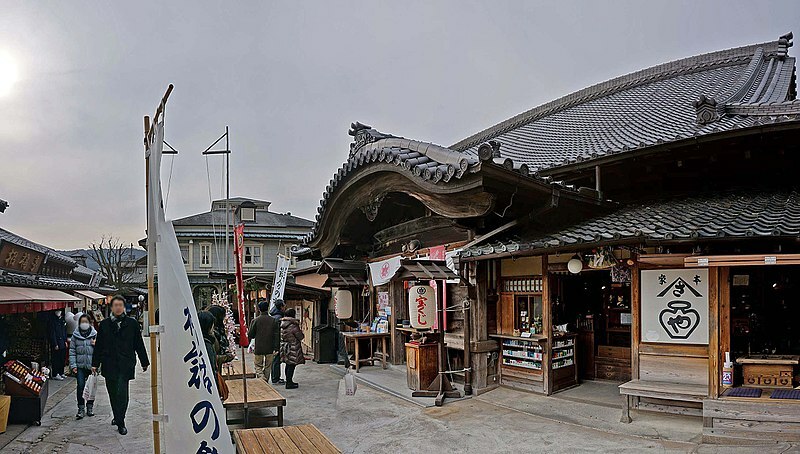 Okage Yokocho have so much to offer to its visitors ranging from food to arts and crafts. Go into different kinds of stores, immerse yourself in the culture of Okage Yokocho, and enjoy what it has to offer.